We want to try and clarify some of the misinformation that you might have read elsewhere and misconceptions regarding the TDC meetings and their role in the process. On the 10th July 2014, the full Council referred the petition to save the airport to Cabinet. On the 31st July 2014, Cabinet resolved to: accept the Falcon report on the airport’s viability; discuss with the current owners if there was any way to retain the airport; instruct Officers to develop a high level business plan to support the Local Plan process and any CPO; instruct Officers to see if there are any prospective partners for the airport. The next meeting (a Cabinet meeting on the 11th December) was always intended for Officers to prepare and present a report to find an indemnity partner for a possible CPO. It was never timetabled to be a decision on the CPO itself. Originally the full Council meeting referred to Cabinet to see if there was a possibility of a partner being available for TDC to progress a CPO through. We are all aware that the report will be presented to Cabinet at this meeting with regards their findings and to give their recommendations. The Cabinet can then decide on the information given if there is a suitable partner. When they have done that, they can then refer the findings back to the full Council. This part is perhaps easiest understood if Cabinet’s role is to find out IF they could proceed with a CPO with an indemnity partner. This will be the results of the discussions with RiverOak, who we know are now the only potential partner left. This report to Cabinet was intended to be given earlier, but the timescale has been extended to give RiverOak the opportunity to respond to all the requirements the Officers have, and thus to explore this properly and extensively. At the next Cabinet meeting, the report will be discussed and a motion proposed to return back to the full Council. This will either be a) The airport can be viable and there is a viable indemnity partner that fulfils the requirements b) The airport either cannot be viable, or no suitable partner has fulfilled all the criteria. This full meeting will now not take place until 2015, because of the earlier extended process with RiverOak. Although contacts and assistance have been made with central Government, until TDC decide that they are able to progress the CPO, they cannot be involved the process for fear of jeopardising the whole process, and likely challenge to the CPO. The existing and emerging Local Plans are extremely important to the future of the airport. The policies saved from the 2006 plan and the emerging plan both make it clear that the land should not be used for housing, although the emerging one does hold out the possibility of it being other use, should the CPO prove unviable. This will go out to public consultation for our review and comments next year, but we urge you to start reading it now. Although the plan states 12,000 houses need to be incorporated since the last plan ceased (2011), it states that this can be and should be accomplished without use of airport land. There is also a proposed “Area Action Plan” that will specifically focus on the Airport site – a similar project to the Local Plan. Details of that are only slowly emerging. You may be aware that Ruth Bailey has decided to stand as a Parliamentary candidate for Thanet South in the elections in May 2015. This is intended purely as a means to improve the publicity for the campaign, considering the attention Thanet will receive due to Nigel Farage also standing. Although other candidates are pro-airport, that issue could well be overshadowed by the wider national issues that are bound to be brought up. Therefore, Ruth is standing with this single issue. 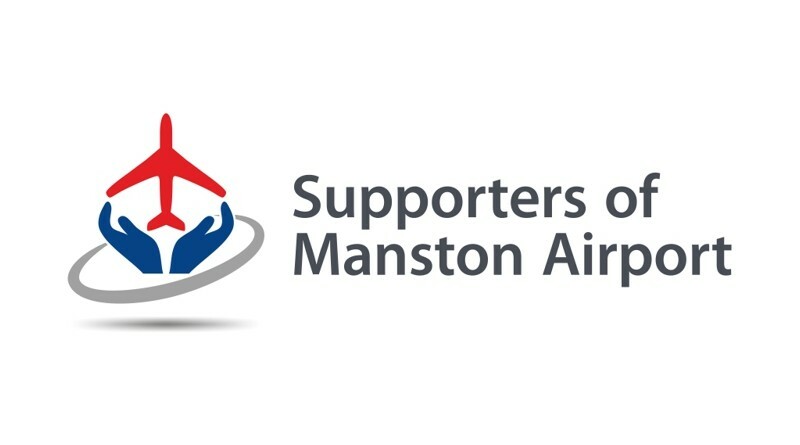 None of the current Committee of the Supporters of Manston Airport have any hidden political agenda tied to any other party, nor do they currently have the intention to stand as Councillors or other Parliamentary seats. We therefore try to keep politically neutral and will involve and support any party or group which has the same goals as we all do.